Highland Park has always been proud to stand apart from other single malt Scotch whiskies in terms of flavour and taste. Today, we are delighted to announce the release of our new packaging which forms part of a complete re-imagining of the overall brand identity. The brand’s Orkney Islands home has an incredibly rich history rooted all the way back to 800AD when the Islands were owned and ruled by the Viking kingdoms of Denmark and Norway. Although Orkney became part of Scotland in 1468, Orcadians still feel a strong connection with their Viking heritage as 1 in 3 of them has Scandinavian DNA. In fact, since the brand’s creation in 1798, Highland Park single malt has been made by the modern day descendants of Vikings and who still today are fiercely proud of their Scandinavian roots. Jason R. Craig, Brand Director, commented: “For whisky fans, their first point of contact with any brand is the bottle and carton on a shop shelf or on a back bar. So, we had to create a new bottle and carton design which would explain our Viking bloodline and why we are ‘The Orkney Single Malt with Viking Soul’. “The new packaging includes a new, wider bottle, a metallic label design that complements the glass, embossed with a contemporary looking logo as well as a premium ‘Torq’ closure to keep the whisky safe. All of which, we believe, will add consumer interest and excitement around the brand,” Jason added. The carton for each of the brand’s 12 and 18 Year Old whiskies also feature the ancient lion and dragon legend with embossed metallic detailing, ensuring enhanced premium cues, great visibility and stand-out on shelf. In addition, the statement ‘Made with Pride on Orkney’ features on the side of each carton as a tribute to the men and women of Orkney who produce the brand’s iconic and renowned single malt. The whisky profile for Highland Park’s award winning 12 and 18 Year Old single malts remains unchanged. However, each variant has been given a sub-brand name to give a stronger individual identity to each whisky and as a tribute to those first Viking pioneers who settled on Orkney all those hundreds of years ago. 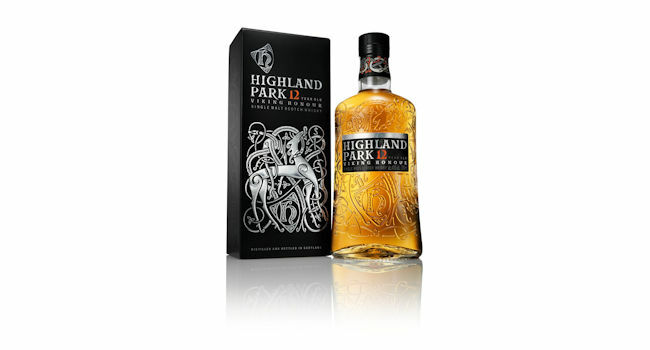 The new packaging for Highland Park 12 Year Old will begin to appear on shelf in the UK from the end of April 2017 while Highland Park 18 Year Old will be out later in the year.